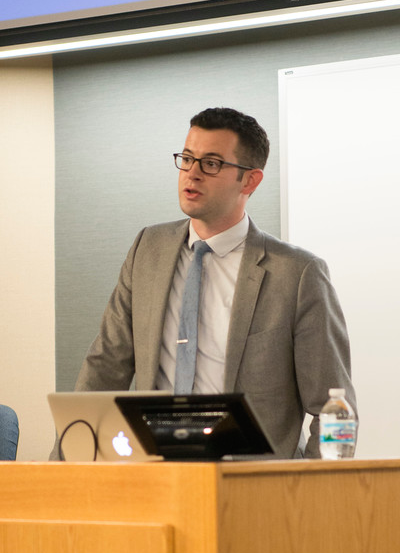 David Henreckson is an assistant professor of theology at Dordt College, and also serves as director of the Andreas Center for Reformed Scholarship and Service. He earned his Ph.D in Religion at Princeton University. He previously earned an M.T.S. degree from the University of Notre Dame, specializing in moral theology. His research interests include early modern religion and politics, resistance theory, secularity, and Christian ethics. His book, The Immortal Commonwealth: Covenant, Community, and Political Resistance in Early Reformed Thought, is forthcoming from Cambridge University Press in 2019. It focuses on applications of covenant theology in radical Protestant political thought in the sixteenth and seventeenth centuries. His work addresses early modern relationships between religion and politics, theological covenants and social contracts, divine and human authority, and traditional and modern conceptions of freedom. Henreckson teaches courses on Christian ethics, theology, and political thought. His work has appeared in peer-reviewed journals such as the Journal of the Society of Christian Ethics, Studies in Christian Ethics, and the Journal of Reformed Theology, as well as magazines such as Comment and Political Theology Today. He is a contributing editor at Comment and has also done editorial work for the Marginalia Review of Books.